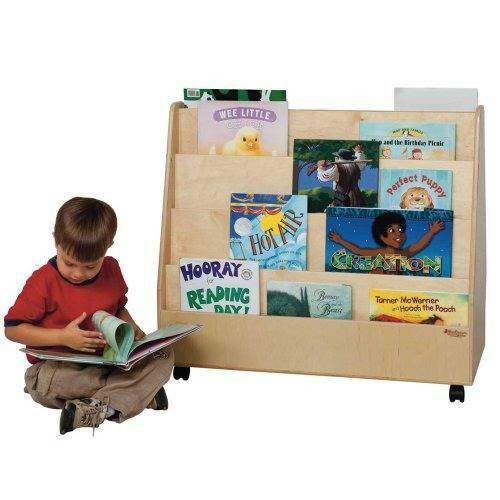 Measures 29" H. x 30"W x 15 1/2" D.
Each side has four shelves for book display & storage. 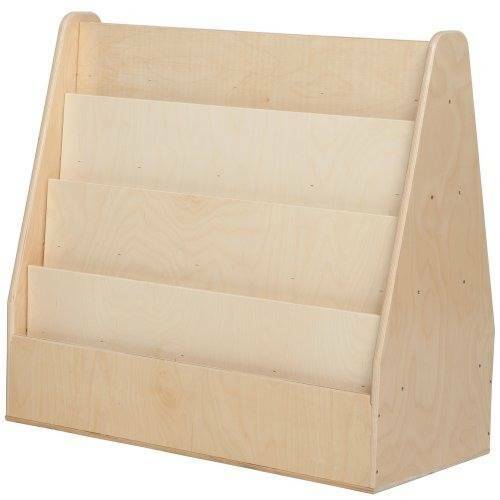 Constructed from 100% Plywood, and coated with our exclusive Tuff-Gloss UV finish. Fully rounded corners and edges for maximum safety. 29" H. x 30"W x 15 1/2" D. Fully assembled. GREENGUARD® Gold certified.